Among some of the more unusual orders that have been requested this Autumn was one for around six tester pots to be mixed in a range of bright, colourful shades and a tin of Albany varnish – all to paint a giant-sized snail sculpture! 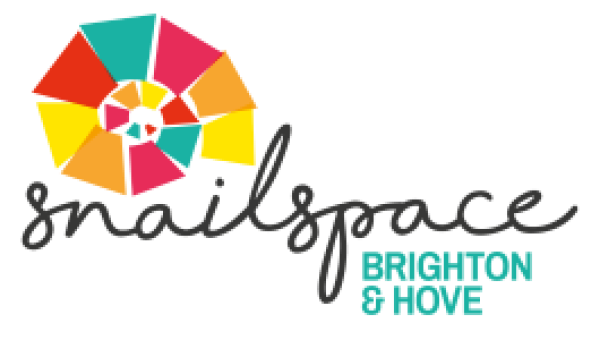 The snail is part of a ‘snail trail’ called Snails Pace being held in Brighton until Sunday 18th November with around 100 painted snail sculptures being placed at various locations around the city. 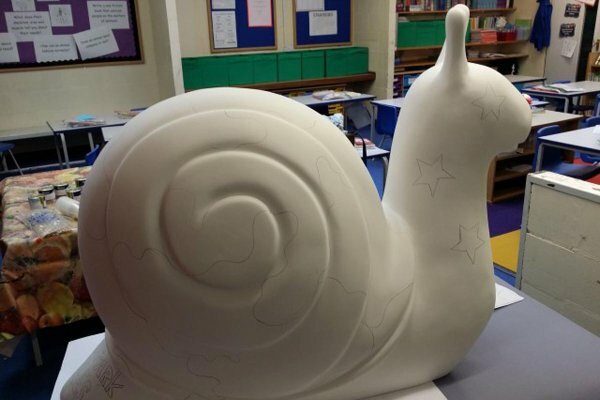 The snails painted by the school can be found at St George’s Church in Kemptown, Brighton. To find out more, visit the Snails Pace website. 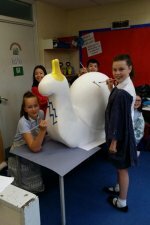 Rocks Park School get their snails ready for Snail Pace!